Do you know what your net worth is? 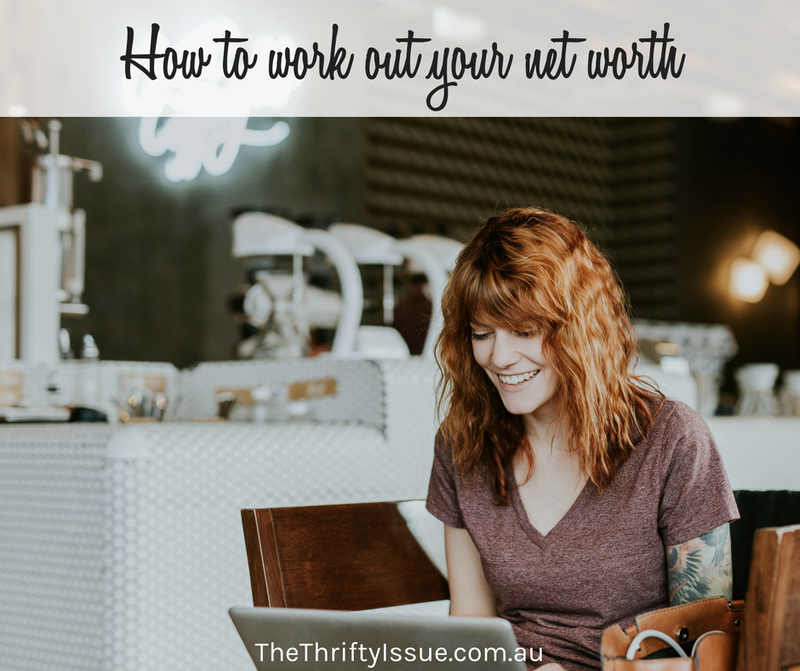 A great way to see how you are doing financially is to know your net worth. Your net worth is all your assets added up minus liabilities. Assets include things like property you own, investments such as shares or businesses and how much they would all be worth if you liquidated and sold them all today. Your liabilities are debts such as car loans, mortgages, credit card debt or student loan. When is the last time you worked out your net worth? Some people never have and as scary as it might be to see you are massively in debt, you need to know what your money is doing and where you are at financially. List all your debts including personal loans, mortgages, credit cards, money owed to friends or family etc. – The value of your home but don’t take off the home loan from the total amount yet. Check recent sales in your area or listings on Real Estate to get an idea. – The value of your car if you sold it today. You can check this on Redbook and similar sites. – The value of shares you own. – The total of your superannuation. – The value of any business or other investments you have. Add the value of all your assets together to get a total. Take your total and subtract the total of your liabilities from it. This is your net worth. You can use a quick calculator to work out your net worth, such as this one on the Money Smart website. Why care about your net worth? Why should you care about this number? Your net worth is how much you are worth financially should you need to sell everything off right now. It is how you can determine how close you are to financial freedom and track your financial status easily. Whether your net worth is in the minuses or a million dollars does not impact on who you are as a person though nor does it determine your value. It only determines your financial standing. Don’t let it discourage you if it’s lower than you thought or hoped. Back in 2012/2013 I was a homeless single mother. I was 28 and had always thought by that stage in my life I’d be financially stable, own a home (I sold mine in 2013 in the divorce) and that I’d be married, buying investment properties, having shares etc. By the end of 2013, my situation was completely different to what it was at the start of 2013 because I was aware of my situation and made changes. Knowing where you are at financially means you can track it and set a goal to improve it. I have more information on net worth and how to increase it here. How do you increase your net worth? Two ways: decrease your liabilities (reduce your debt) and increase your assets. Ideally, you will tackle your debt first so you have more to invest. For now, decide what you want your net worth to be and how you will do that. Check out this post with tips for dealing with debt and this one about a couple who cleared $90,000 in 12 months when they started off unemployed! – Consolidate your superannuation and start contributing an amount from your pre-tax income. Note: along with increasing your assets, I think it is important you increase your cash flow and income. Work out how you want to be financially free, what sources of income you want to have and create a plan to make it happen. Get professional advice when needed as well then take action! How does your net worth stack up? What will you do to increase it?